Today’s episode is all about curiosity. It’s important to realize that our natural curiosity changes as we grow older. There are more and more things holding us back. It’s important to acknowledge these things and be proactive. 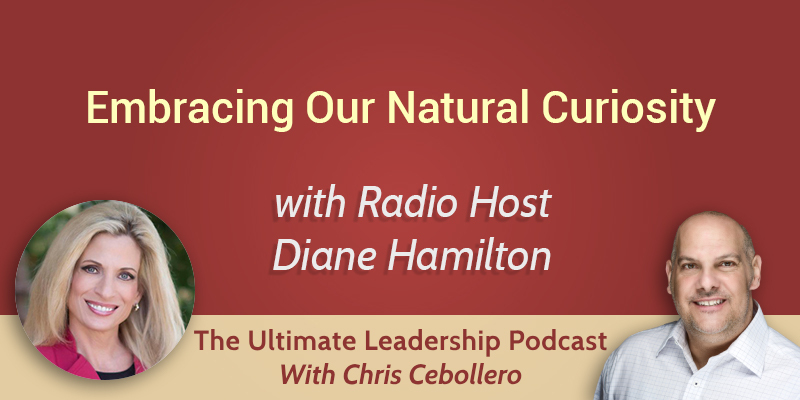 My guest today, Dr. Diane Hamilton, has some fantastic advice to share with us. Curiosity can be either positive or negative. Some people get into analysis paralysis, they plan and plan, and don’t get things done. There are always fears holding you back from many kinds of decisions. Many people don’t dip their toe in the water because it’s not cool to do so. You think you might look goofy. Many people fear what other people will think. It’s a very hard thing for us to overcome. It’s very important to recognize that it’s the fear that’s holding you back and do something about it. Fear really comes down to the stories we tell ourselves. Many people do things because they assume that they should be doing these things. They don’t open themselves up to options because that’s the way it has always been done. We limit ourselves to this little bubble we think it’s the world. You don’t even know what you don’t know until you get out there. It’s good to make yourself a little uncomfortable. Technology can be intimidating. You have to learn a new trade and you can feel overwhelmed. Another type of people feel too comfortable with technology and allow it to do everything for them. Sometimes technology keeps you from asking the questions, because the answers are readily available. Eventually you might end up not knowing what you might be missing, because technology has already figured out all the steps along the way. The environment can also seriously hold us back. Some of our natural curiosities can be cut out at school or at home. Our family might not even know that they are holding us back. Now with social media, we also have a new environment of people expecting us to behave in a certain way.